It is a truth universally acknowledged that wine makes everything better. Impress your vino-loving friends with gifts that are sure to set their wine-drenched hearts aflutter, from the practical, like wine wipes, to the eccentric, like wine sippers. Here are 15 gifts perfect for wine lovers, because it’s wine o’clock somewhere. For the person who always has a port stained pout. Get it on Amazon. Get this print at Ahalife. This affordable wine rack holds 12 bottles; perfect for the wineo who has little room to store their prized jewels. Get it at Ahalife. This classy yet entirely accurate t-shirt will become a new staple in your wardrobe. Get it on Etsy. 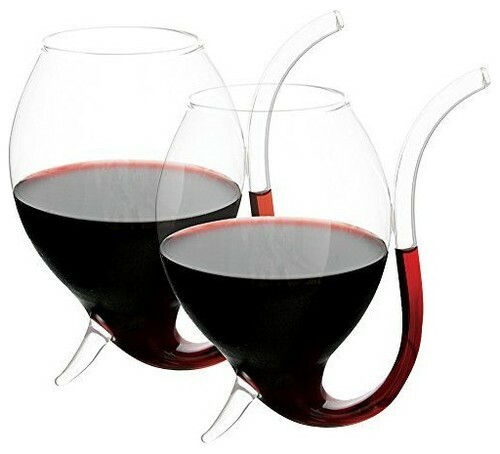 These wine sippers make for a great gag gift, but are also practical for those looking to avoid stained teeth. Get it at Houzz. For the wine connoisseur who cares about giving back. Get it at Ahalife. 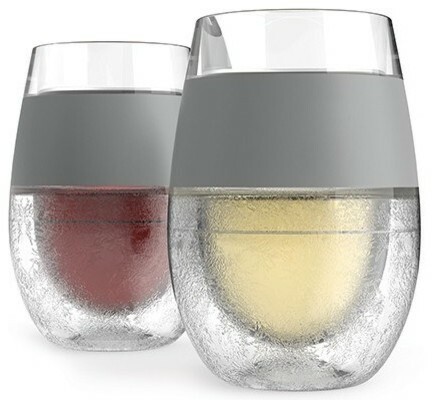 May your glass of white never go warm again. Get these cups at Houzz. Give your pout the exfoliating boost it deserves while indulging your love of wine. Get it on Etsy. Make a bold statement when you're coming and going. Get this doormat on Etsy. Blue Apron has a great wine delivery subscription service that averages about $10 a bottle. This decanter doesn't just hold wine, but oxygenates it through small holes in the integrated funnel. Get it at Ahalife. This makes a perfect gift for a recently married couple who wants to celebrate each of their upcoming celebrations with a nice glass of red. Get it at Nordstrom. This rustic sign will complement any at-home bar or kitchen space. Get it on Etsy. Save water and drink wine with this insulated Swell bottle. Get it at Nordstorm. Get them these coasters as a daily reminder that wine is always a good idea. Get them at Nordstrom.